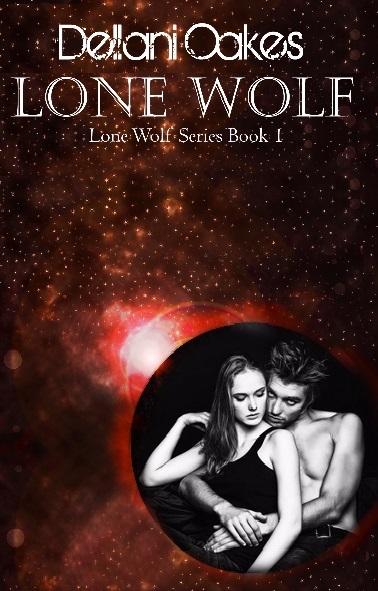 Lone Wolf Is Coming Soon! After parting from the others, Wil and Matilda decided to walk around for awhile. She wanted to see the older, non-tourist area of town. They strolled casually down streets that grew progressively narrow and shabby. Wil put his arm protectively around her shoulders. As they wandered the seedier parts of town, they walked past a sign advertising: Lady Lena, Psychic Readings. It had an arrow pointing down the street. In the next block, another sign. Learn your future! See Lady Lena to find out what the stars hold for you! There was another arrow. A third sign in the next block said: Does he love you? Ask Lady Lena! Walking a little further, a large sign stood in a front yard. In screaming orange, chartreuse and gold, it said: What does your future hold? Ask Lady Lena! No appointment necessary! Walk in and have a seat! She tugged his hands. “Let’s go in and see her.” She pointed to a small Open sign in the window. The room was Spartan with a single round table top sitting on crates. Three chairs surrounded it. The small room smelled of decay and mold. A timeworn ceiling fan moved the thick, moist air with very little effect. The beads jangled aside, moved by a gnarled, age spotted hand, more like a crustaceous claw than a human appendage. An old woman stepped through. The ancient, wrinkled face gazed up at them. Her clear, bright green eyes bored into theirs; steady, calm, unwavering. Wisps of thin, white hair were pushed back with another frail and trembling clawlike hand. She wore a faded black woolen dress; long sleeved, even in the oppressive heat. Around her tiny shoulders was a white knit shawl. Slowly, she raised her hands, holding them across the table. The old woman reached over gracefully, taking Matilda’s hands in hers. Like moths in the dark, her touch was light, fluttering. Lady Lena studied them, muttering to herself. Lady Lena turned the palms up, tracing the lines with one delicate finger. A hiss escaped her lips. She took the other hand, tracing those lines too. She studied the palms a few moments longer, going over and over the lifeline with her nail. With a decisive nod, Lady Lena drew a dome shaped object from her lap. It could have been wood or metal, it was impossible to tell, for it was more ancient than she. The lid was dark and sleek, polished to a dull sheen, as if hundreds of hands had held it, caressing it tenderly for centuries. It was devoid of all ornamentation, with no visible seams. Chanting, she closed her eyes, moving her hands over the box once, twice, three times. She pressed both hands on the sides of the domed container. Leaning across the table, she slid the box toward them. “And if it doesn’t open?” Wil asked. They did as she told them. The dome felt warm, pulsating and sleek. Suddenly, the box flew open without a sound, startling Matilda, making her jump. Wil stiffened in his chair.